ON THIS DATE (May 6, 1934) ... Nearly 30, 000 baseball fans at Fenway Park were treated to one of the greatest exhibitions of stickwork ever seen in one inning of a baseball game; an inning in which 11 hits were made that included four triples in succession, two doubles, and five singles. This batting spree was indulged by the Red Sox at the expense of three Detroit Tiger pitchers. Twelve runs were made in the fourth inning and the Red Sox won the game by a 14 to 4 score. 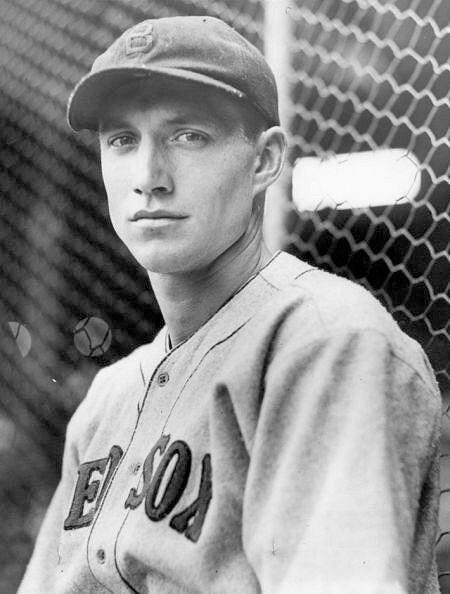 The Fenway Park bombardment was started against Firpo Marberry by Carl Reynolds, who has been batting hard since the season opened and is now among the American League batting leaders. It occurred in the fourth inning. Reynolds, who in his first time at bat had tripled to right, came up with one out. He smacked another triple to right center, Moose Solters followed with another to the same area, Rick Ferrell dropped another to the spot, and Bucky Walters duplicated the performance of the other three. Then Rube Walberg singled and Marberry was taken out of the game and relieved by Chief Hogsett. Max Bishop attempted to sacrifice and was safe on thirdbaseman Marv Owens' throwing error; Bill Werber singled to center; Ed Morgan popped out; Roy Johnson, up for the second time in the inning, doubled to left; Carl Reynolds singled as did Solters. Now the Tigers brought in Steve Larkin and passed Ferrell. Walters doubled and Walberg singled. Bishop forced Walberg at second for the final out of the inning. It looked as if the Red Sox would never end the inning. In this one inning, Reynolds tripled and singled, Walters had a triple and a double, and Walberg had two singles.